American motorcycle manufacturer Harley Davidson is all set to introduce its Milwaukee-Eight V-Twin engines across its Dyna and Softail series models from next year. The Milwaukee-Eight engines have been the biggest step from the brand in its engine history. 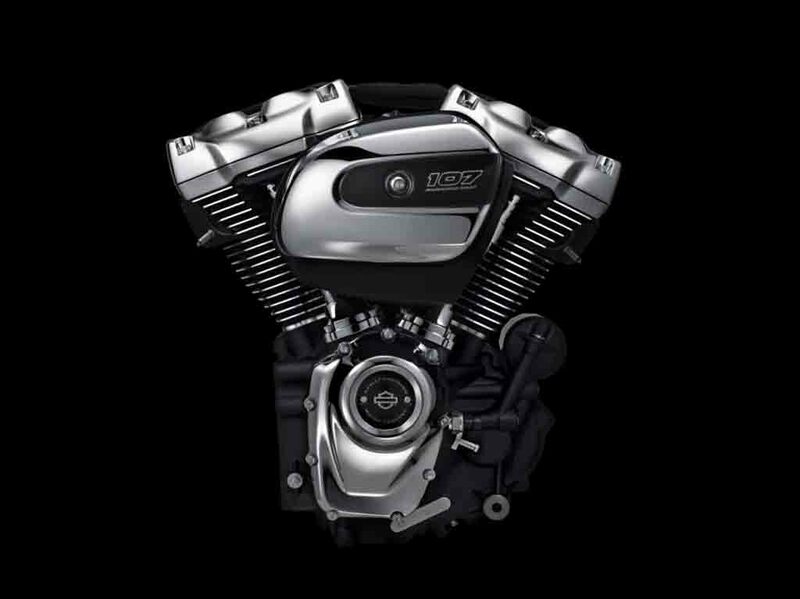 These engines were introduced to the Harley Davidson’s 2017 Trike and Touring models. The 2018 Harley Davidson motorcycle range will receive Milwaukee-Eight engines of three different sizes. These include a 1,746 cc engine kicking out 92 hp of peak power that is christened as ‘107’. Also, there are a 101 hp producing 1,868 cc motor and a larger 105 hp generating 1,923 cc engine as well, that come named as ‘114’ and ‘117’ respectively. The current Dyna and Softail range from the brand get power from Harley Davidson’s Twin Cam V-Twin engine. These include a 1,688 cc engine and a 1,802 unit known as ‘103’ and ‘110’ respectively. The new Milwaukee-Eight engines are expected improve the performance of the motorcycle range further with the introduction of new technology. The new engine comes combining the traditional and modern elements together. It gets 45-degree V-angle and pushrod valve actuation with advanced modern technology. The engine gets four valves per cylinder and the twin-cooled versions get water cooled cylinder heads offering improved performance. So far, in near future the Harley Davidson motorcycles powered by Milwaukee-Eight engines will include Breakout, Softwail Deluxe, Fat Boy, Heritage Softail Classic, Low Rider, Softail Slim, Street Bob and Fat Bob. Expect the company to reveal its 2018 range of models by the end of this month. Meanwhile, the American brand is gearing up to celebrate its 115th anniversary next year. As a result, it is preparing to roll out a range of limited edition anniversary models across the global markets. These motorcycles will include Breakout S Anniversary, Tri Glide Ultra Anniversary, Fat Boy S Anniversary, CVO Ultra Limited Anniversary, Heritage Classic S Anniversary and Ultra Limited Anniversary.